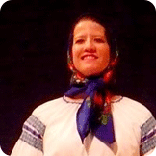 The New Archangel Dancers are a local all-women group who perform authentic Russian and Ukranian dances in full costume. 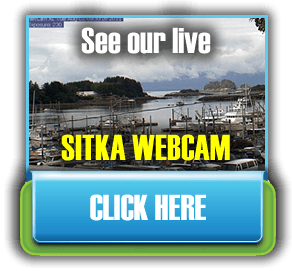 The group started in 1969 and got its title from when Sitka was the capital of Russian America and was called New Archangel. The original troupe was composed of eight volunteer dancers. While they are still completely a volunteer group, they have expanded to about 35 local women who juggle their daily lives with putting on almost 50 performances per month over the course of the summer. Besides Sitka, they have also performed in Japan, Canada, Mexico, Russia and the lower 48 states, at dance festivals, tourism trade shows, conferences and public events. And they are available for private performances. 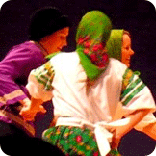 The goal of the dancers is to preserve the history and culture of Russian Alaska. None of them are professionals, but they bring in professional folk dance instructors who teach them new dances and help them with music and costumes. 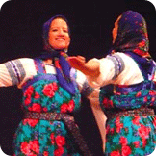 They perform over 35 dances from Russia, Belarus, Moldova and Ukraine. Their dress helps add authenticity to the program, with hand-made colorful multi-textured costumes and accessories. The fee for performances provides the group a place to practice, sound systems, music, dance instructors, costumes and advertising. They also give back to the community: to local performing arts programs through in-kind donations, financial contributions and scholarships for high school students. Regular summer performances. They are 1/2 hour long and tickets are sold 1/2 hour before each performance at Harrigan Centennial Hall. See the calendar of events for performance dates and times.